The Klausenberger Rebbe, Harav Yekusiel Yehudah Halberstam became one of the youngest rebbes in Europe, leading thousands of followers in the town of Klausenburg, Romania, before World War II. His wife, eleven children and most of his followers were murdered by the Nazis while he was incarcerated in several concentration camps. After the war, he moved to the United States and later to Israel, rebuilt Jewish communal life in the displaced persons camps of Western Europe, re-established his dynasty in the United States and Israel, founded a Haredi neighborhood in Israel and a Sanz community in the United States, established a hospital in Israel run according to Halacha, and rebuilt his own family with a second marriage and the birth of seven more children. In addition to his achievements in rebuilding the Sanz-Klausenberg dynasty and establishing many communal institutions, one of the Rebbe's most far-reaching accomplishments was his establishment of "Mifal HaShas" ("Talmud Factory") in 1982. This worldwide project encourages thousands of Jewish men and boys to study copious amounts of Talmud and Shulchan Aruch and complete written tests on 20–30 pages per month in return for a monthly stipend. Mifal HaShas continues to operate today worldwide. The Israeli and European operations are under the leadership of Zvi Elimelech Halberstam, the Rebbe's oldest son and current Sanz-Klausenberger Rebbe of Israel. 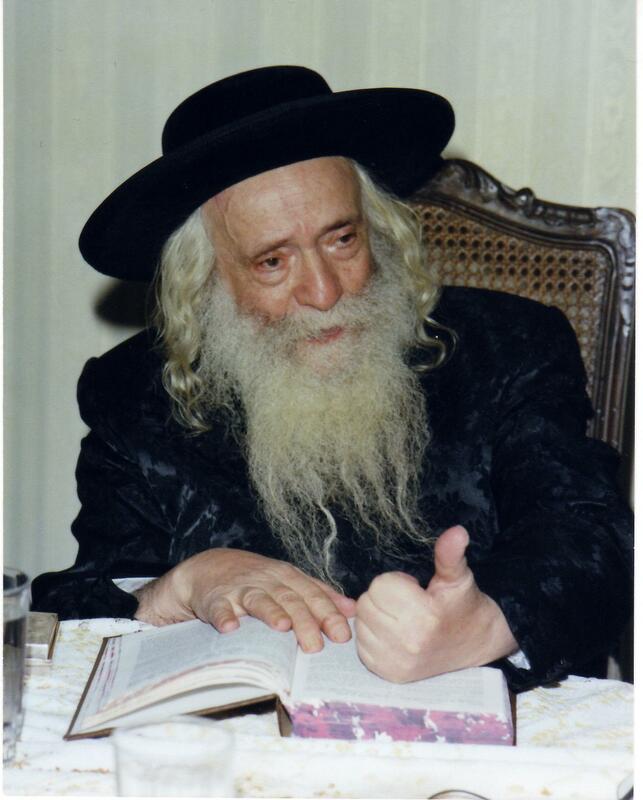 The North American operations are under the leadership of Samuel David Halberstam, the Rebbe's son and current Sanz-Klausenberger Rebbe of Brooklyn. The Rebbe recorded his Torah novellae in Shefa Chayim and She'eilos Uteshuvos Divrei Yatziv.